Now a days, the burning news of “Harassment” by Queen of Ethics, Ms. Sharmeen Obaid Chinoy has become a newspeak of the social media industry in Pakistan. 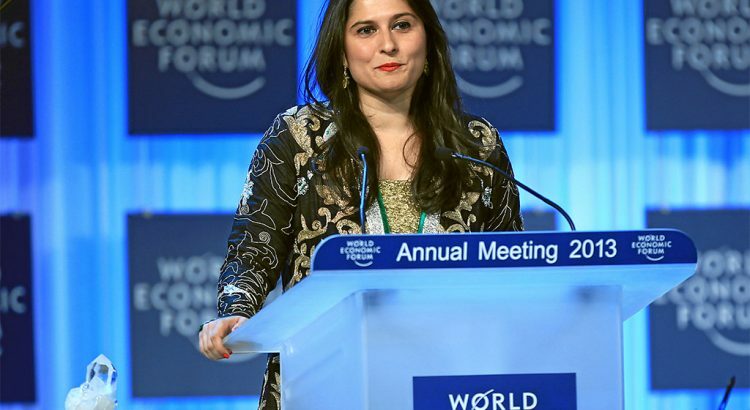 The only Pakistani Oscar Award Winner, Sharmeen Obaid Chinoy is known for making short documentary films on sensitive un-highlighted issues. Her documentaries are mostly focused on the rights of women, children and marginalized groups for which she has won international acclaims including six Emmy Awards, two Academy Awards, and one Lux Style Award. In 2012, she was also honored with the Hilal-e-Imtiaz by the Government of Pakistan which is the second highest civilian award of the country and Time magazine named her one of the 100 most influential people in the world. Being the highlighter of unnoticed issues, she received a lot of criticisms to expose worst aspects of the country of Pakistan’s customs and culture, which resulted in spreading hatred against her on the recent Pakistani doctor harassment issue. The controversies against Oscar Winning Pakistan Lady arouses after latest issues of harassment in which she was highly criticized for using word ‘Harassment’ against Pakistani Doctor of Agha Khan University Hospital (AKUH), on sending friend’s request to her patient, who was a sister of Ms. Sharmeen Obaid Chinoy. Her sister went for treatment in an emergency of AKUH. Later on, the doctor who treated sent her a friend’s request on Facebook. Sharmeen exaggerated over that incident and took to social media. Her complaint, being renowned personality, had resulted in the termination of that Doctor from his job. Her tweet against such unexpected act by the doctor, being patient’s health advisor and mentor, ignited an aggressive campaign on Pakistan’s digital media industry, arguing that a Facebook friend’s request is nothing to deal with the harassment. The in-charge of FIA was also of the view that the friend’s request can either be accepted or rejected which cannot be considered as an act of harassment and could not be contested in any court as per rules. Dealing with such high criticisms from the local as well as overseas Pakistani’s on social media, Sharmeen responded to the reaction in her note regretting that she was raising her voice against the inappropriate behavior of a doctor, considering it as an unethical practice and harassment. And further clarified that her tone of expression was wrongly chosen at the time of heated emotion, which failed to address real concerns. Anyhow, people of Pakistan should not over-looked her contributions towards highlighting grey areas of society. She won various international awards for raising her voice against women violence and shameful acts in Pakistan, which is an attempt to emphasized unreported crimes. Because there are not enough laws in Pakistan, preventing people to kill women in the name of honor killings. Non-presence of such legislations victimized women with such awful male-oriented conducts, which allows a victim’s family to forgive the killer in exchange for money or for saving their honors in the society. With her nominations, Pakistani Prime Minister affirmed that he would enact a law criminalizing such practice, for ridding Pakistan of such evils. Apart from this, she also won awards on highlighting issues like acid attacks victims and harsh judicial system of Pakistan. With exceptional achievements, Sharmeen has a lot to do for socitery’s betterment not only because she is the winner of Oscar award but also she is the hope for millions of women who are against nefarious practices like acid attacks and honor killings.